April Newsletter-Spring Happenings at WHAM! For years, Loretta Haren came to Second Blessing to shop and visit with longtime ministry supporters and volunteers, Ruth and Van Penrod, who encouraged her to volunteer with them in the linens and fabric department. Five years after taking their suggestion, Loretta oversees the department that has expanded from a small dressing room to a spacious warehouse area filled with sheets, bedspreads, quilts, blankets, pillows, fabric, table linens, curtains, hats, belts, and more! 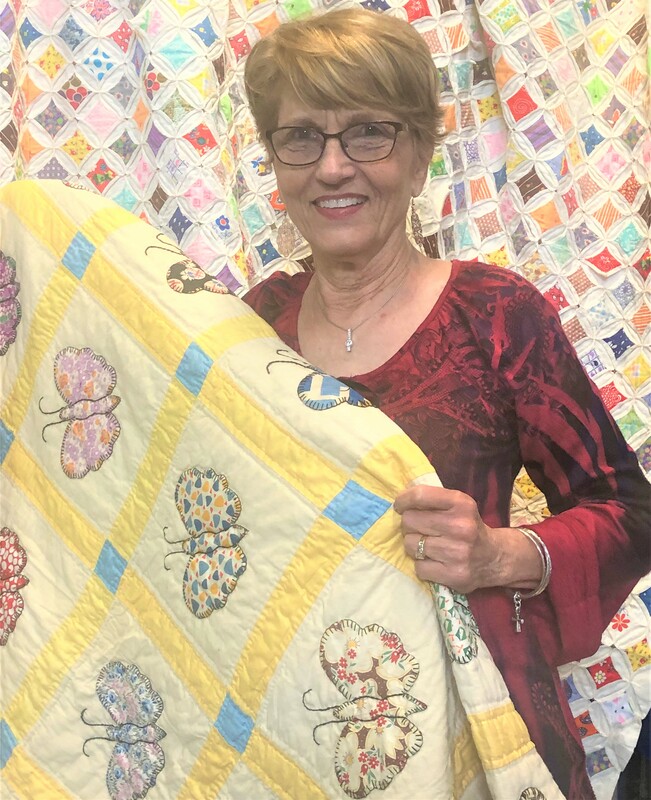 Among her favorite donations are vintage quilts (pictured butterfly quilt, circa 1930's) that often come with hand-written notes with the year made and quilter's name. When she's not sorting, pricing, stocking, and placing linens on the sales floor, Loretta shares her creative talents by serving on committees and decorating for WHAM's special events and fundraisers. Thank you, Loretta, for your service to WHAM! 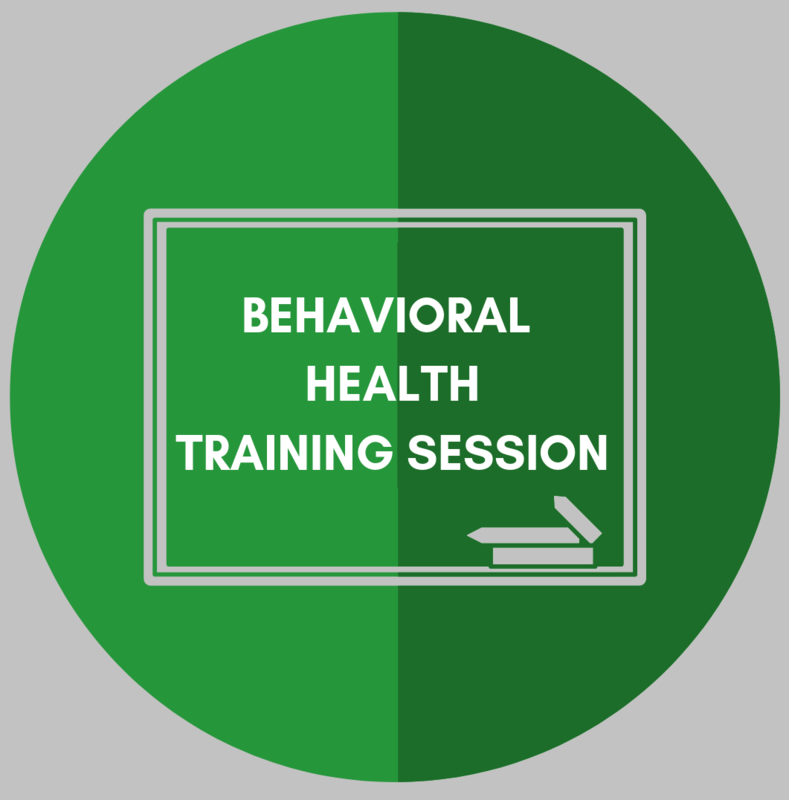 Dr. Liz L. West will present a training session, "When to Say When 2.0," on recognizing the signs and symptoms of mental illness and emotional disturbances. Identical sessions will be held on May 7 and May 14 from 10:00 am - 12:00 at WHAM. Sessions are free and open to the public, but registration and ticket are required. Please click on a the date you would like to attend for details and tickets. IT'S ALMOST TIME FOR SPRING DASH! Here's a deal to get you going! Register now to Run, Walk, or Sleep In! refreshments, face painting, and snow cones! Your support helps us provide food, financial assistance, job resources, and education to the homeless, families, and individuals in need. 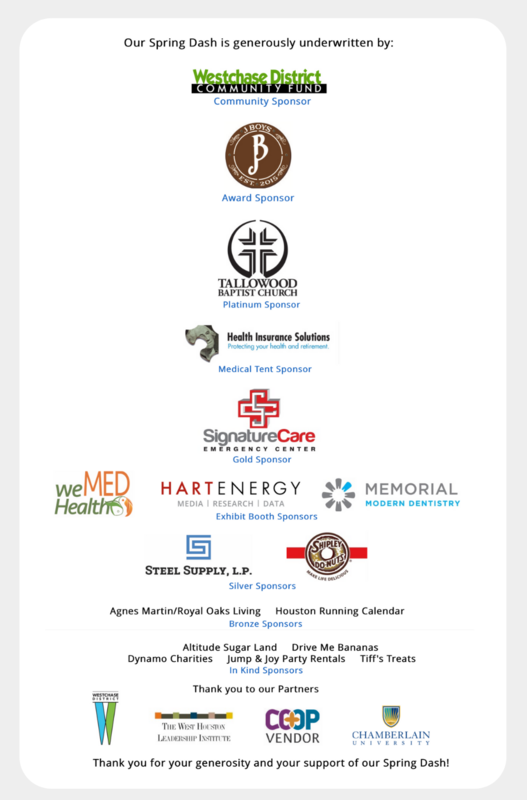 NOT GOING TO RUN/WALK BUT WANT TO VOLUNTEER? We can use your help in several areas; you choose! difference in the community! Contact Mercedes to sign up. how making a difference for others makes a difference for you! 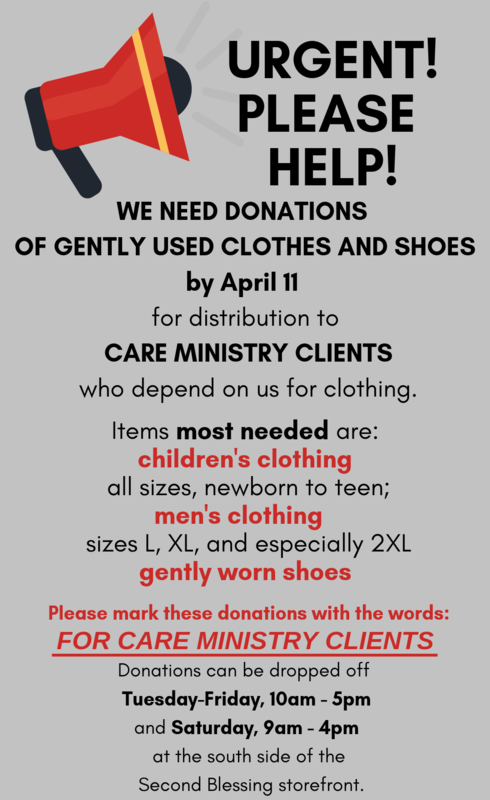 WHAM's Care Ministry was busy in March, seeing 2516 people from 897 households (198 new households and 116 homeless) for a total of 1011 visits. The Food Pantry provided 180 daypacks to the homeless, 100 emergency out of zip code food orders for 326 people, and 616 regular food orders for 1941 individuals. 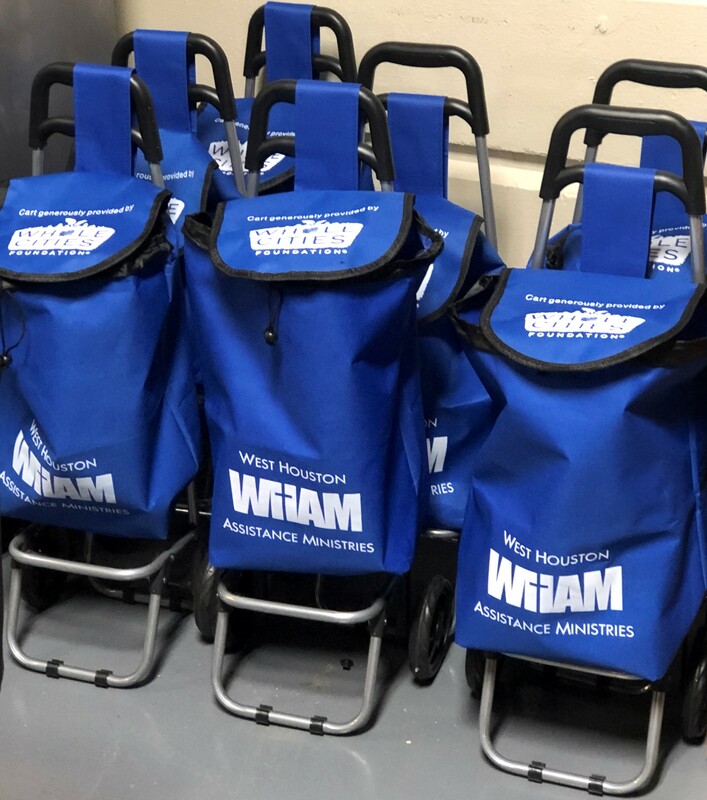 Homeless individuals receiving food from WHAM's pantry can now easily take their groceries with them in a new cart, thanks to a generous grant from Whole Cities. Often, clients must limit the food they receive because they are not able to carry a large amount in multiple bags, but these carts can hold an entire food order and be easily rolled. Best of all, they are reusable and can be brought to the pantry on each visit. Many thanks to Whole Cities for making a difference for our clients! In March, WHAM staff members, Mercedes Santos-Garay and Cindy Orman, were invited to City Parc II Apartments for a presentation informing residents of WHAM's programs and services. Residents enjoyed pizza while learning about the various programs and resources available to individuals in need. As a result of attending the event at her apartment complex, Angela came to WHAM and received help with her electric bill. She had not previously sought financial assistance, but in spite of budgeting her modest income, she wasn't able to cover unplanned expenses that occurred during the month. 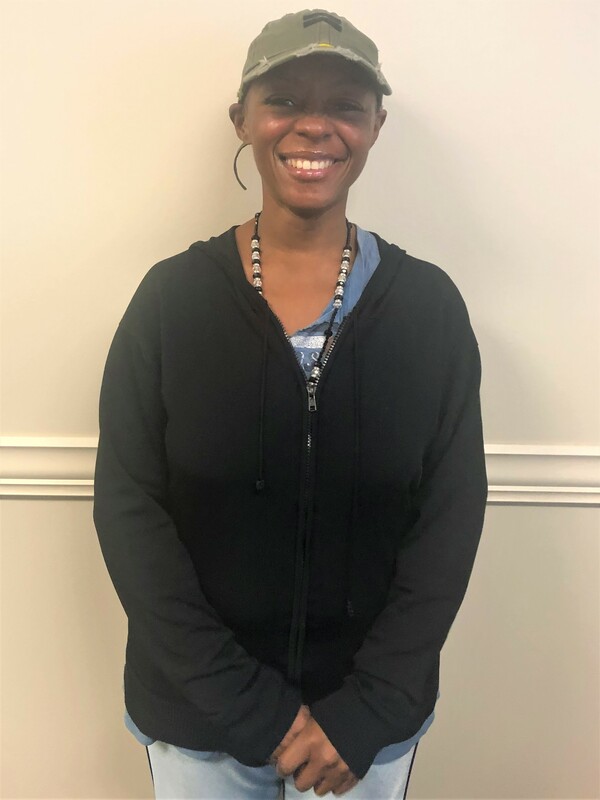 WHAM was able to pay Angela's $100 utility balance and also provide employment services to help her attain her goal of gaining stable employment in the near future. 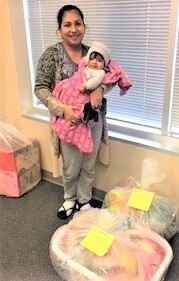 Each year, the Children's Religious Education classes at St. Cyril of Alexandria Catholic Church generously provide Easter baskets to WHAM client families. The classes collect items and assemble them in boxes or baskets (some are placed in laundry baskets for the families to use after Easter) and personalize them with hand drawn cards, ribbons, and Easter decorations. The baskets include food, household essentials, toys, books, and children's clothing items. This year's distribution is under way, and by Easter, 21 families with a total of 58 children will have received a beautiful Easter basket made with love by the children of St. Cyril. Thank you for blessing these families at Easter. 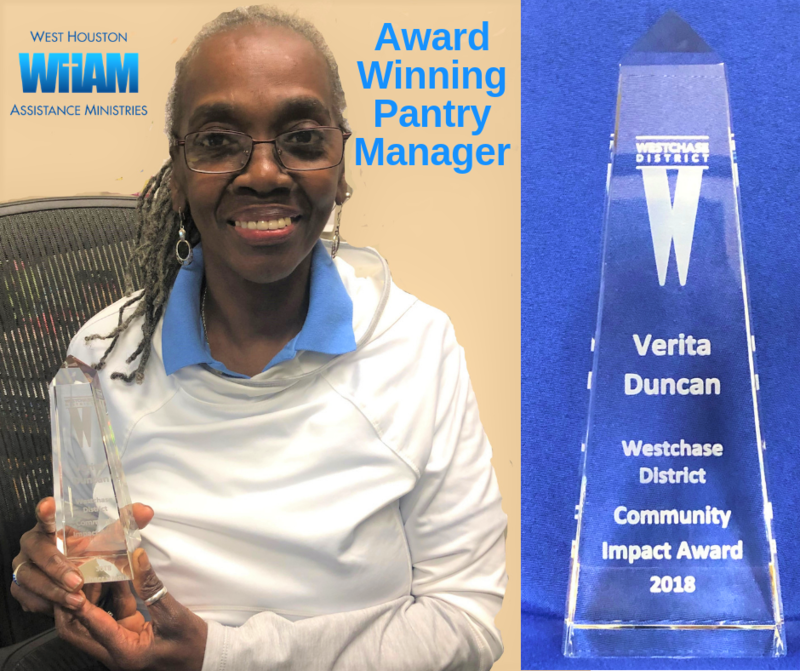 The new year brought well-deserved recognition for Food Pantry Manager, Verita Duncan, when she was honored with the 2018 Westchase District Community Impact Award in January. The award is given to those who exemplify the best attributes of the Westchase District community. We congratulate Verita's positive community impact through her leadership at WHAM. During the past year, WHAM has assisted over 47,000 people! Please help us continue our work to help those who are struggling by making a tax deductible donation.